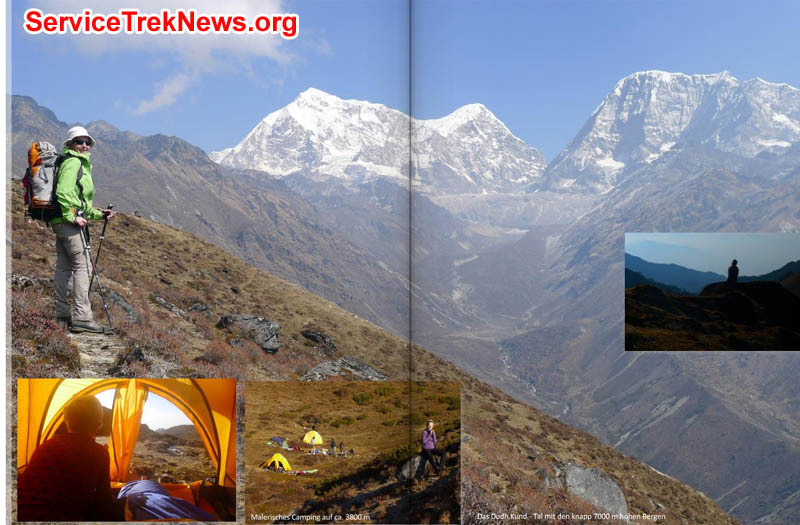 12 days of touring and low altitude easy walking in a quiet, peaceful, beautiful non-touristic area near Everest. June, November, or anytime of year. 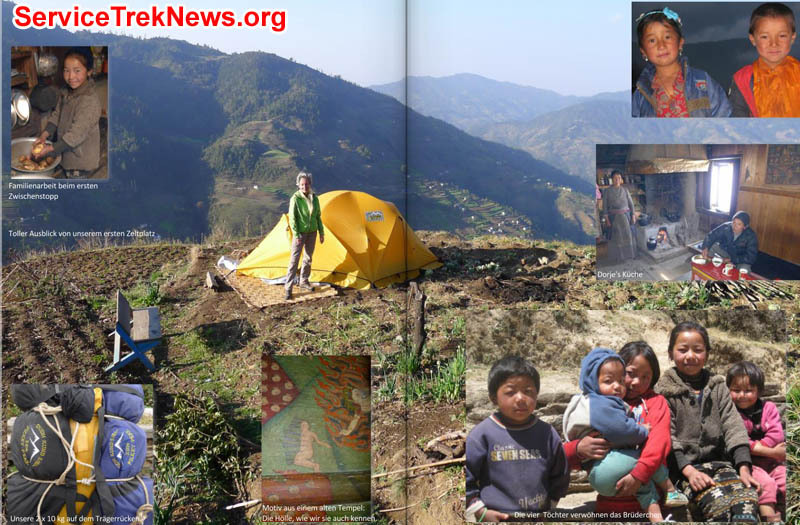 Visit and help Sherpa families in remote Nepal, bring medicines and educational materials. Option to extend the trip and explore nearby mountains. 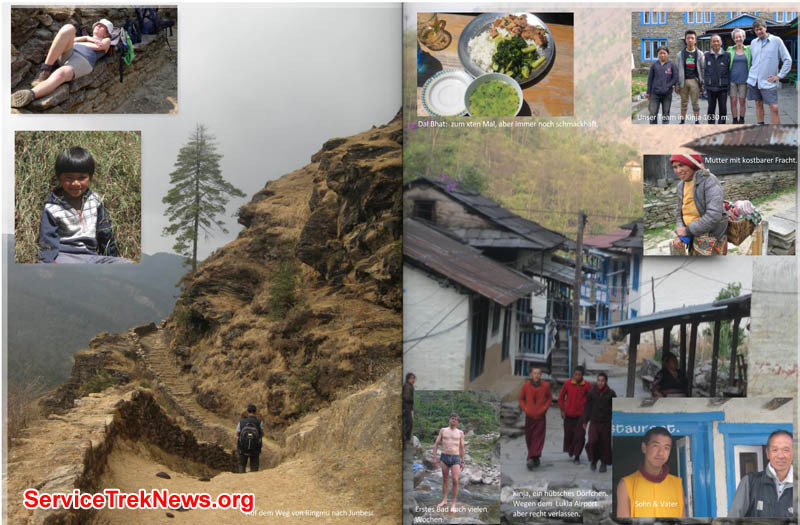 A memorable experience in an untouristed area, Walk, experience and relax, or help provide medical care and education to poor Sherpa families who live far away in a remote area. All proceeds go to help the local Sherpas. Please enjoy the lovely photos by Markus Staehelin. Our remote service trek, sponsored by the Mount Everest Foundation, has just returned from a sunny and gorgeous Sherpa village in rural Nepal, in the foothills of Mount Everest, where our Australian and New Zealand nurses, accompanied by SummitTrek leaders Ms. Kandu Sherpa, Jangbu Sherpa and Dan Mazur, trekked for a week and visited a faraway corner of Nepal where there is no road, no electricity, and no telephone. We stayed in the homes of very friendly Sherpa families, visited schools, hospitals, temples, bazaars, and enjoyed a bit of Sherpa family life and wonderful hospitality. We never saw another tourist during the entire trek. Our nurses stayed at a local village Mount Everest Foundation health clinic and saw over 100 patients and delivered health care and medicines, and we visited with more than 100 children who are going to school, and their 6 teachers, and gave them books and school supplies. Along the way, we met a 22 year old Sherpa woman who desperately needs kidney treatment and brought her back to Kathmandu with us at the end of the trek. Now she is in the hospital in Kathmandu receiving treatment. 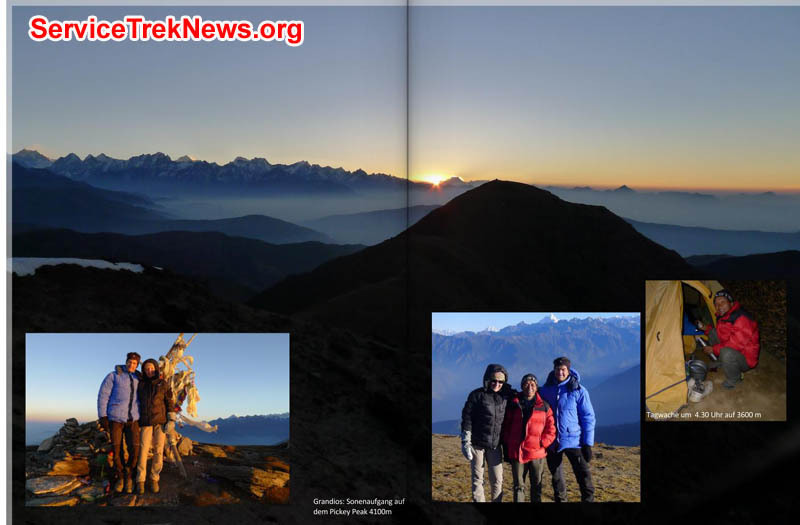 At this time we would like to thank our visiting nurses, all of the Sherpas and staff who helped, the Mount Everest Foundation, and all of the generous donors and sponsors who support this progam. Thank you very much. By the way, one major vehicle for raising funds for the Mount Everest Foundation is voluntary contributions given during our leader's lecture presentations to interested audiences. 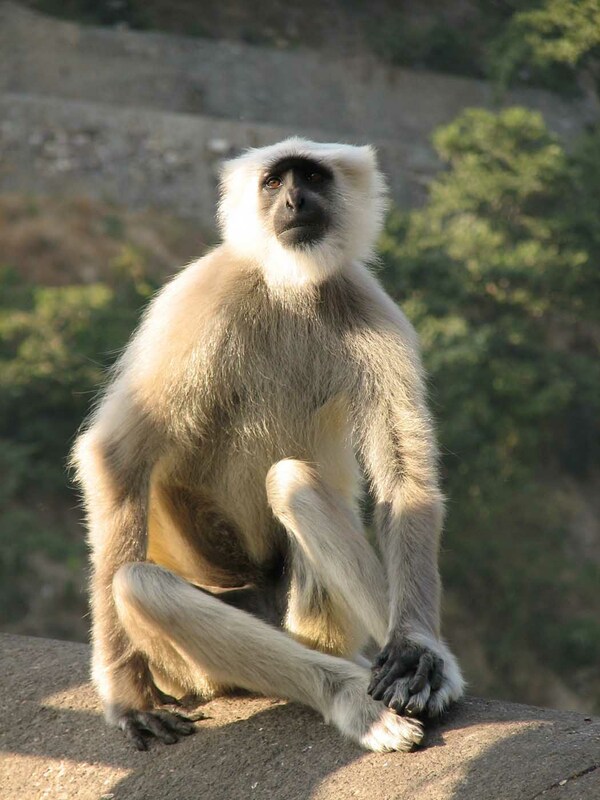 Please attend and/or host one of our www.FundRaisingLectures.org during January and February to learn more and see exciting Himalayan photos, videos and hear amazing stories. Thank you very much. Kate , Kandi Sherpa, Bianca, and Kandu Sherpa at Helping Hands Hospital. Dati Sherpa injecting Kandu Sherpa at Patle Health Center. Photo Kate. Suspension Bridge. 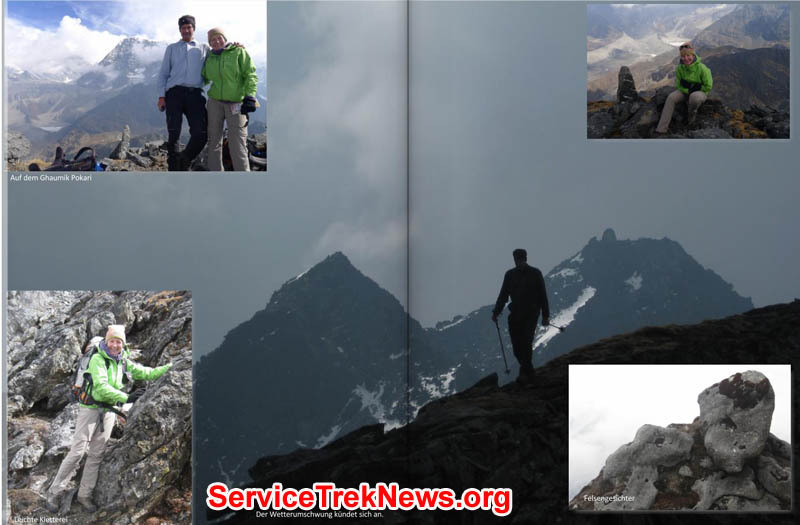 Service walk trekker and Local villager. Photo Bianca. 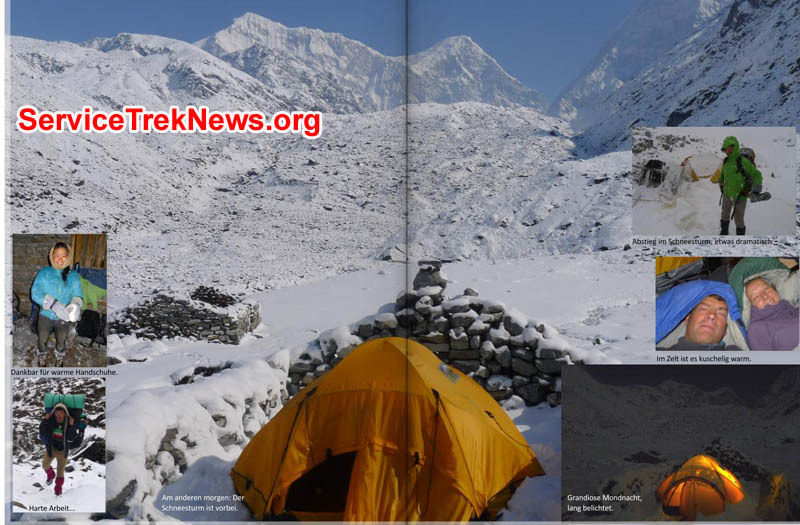 Many people have asked about the condition of Ms. Kandu Sherpa. Thanks for your compassion. She is now in the hospital in Kathmandu. She haas had many tests, x-rays, sonograms, ct scans, and today the doctors will review all of the results and make a recomendation. Kandu is feeling ill, and is quite frail. 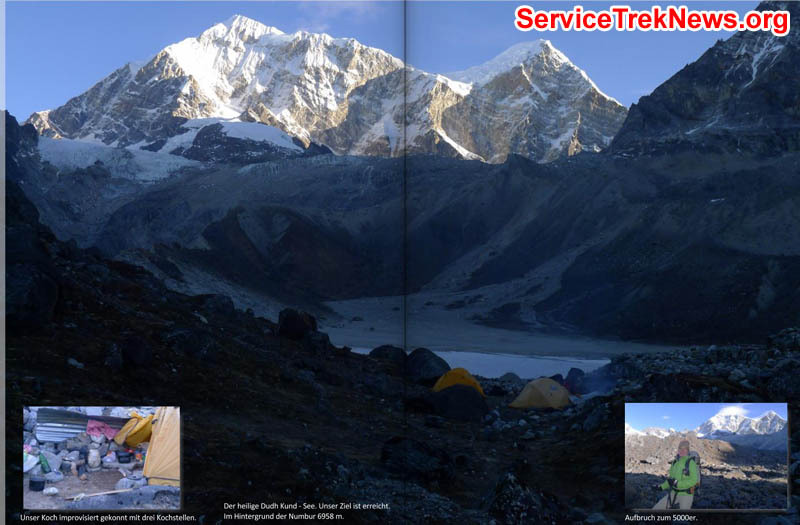 A tough challlenge for a 22 year old Sherpa woman. Fingers crossed..."
We are on our way to Kathmandu now, all 7 of us in a jeep 4wd. Bumpy windy road. Kandu Sherpa's in pain so need to hurry to the hospital. Kiji Market day Photo Bianca. Kiji Wednesday market. 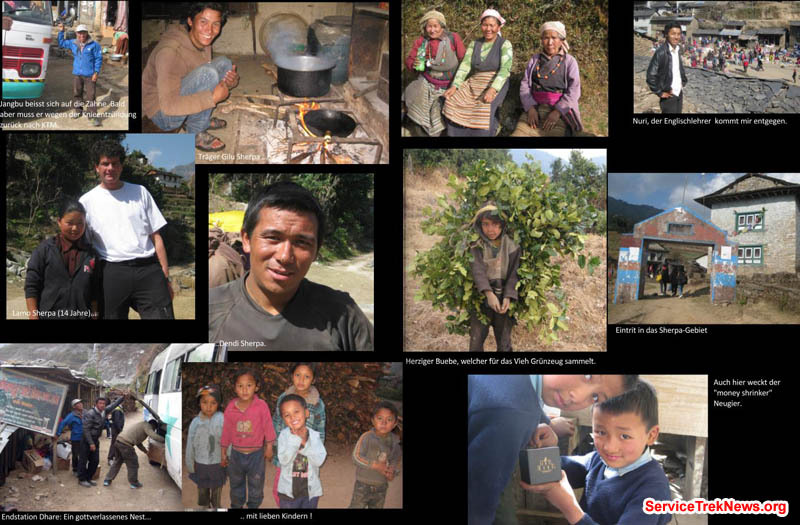 Exotic melting pot of various hill tribes. Imagine the colourful costumes. Myriad spices, food, clothing, handtools. Walking in Rhododendron forests we see many wild bird species, wild deer. 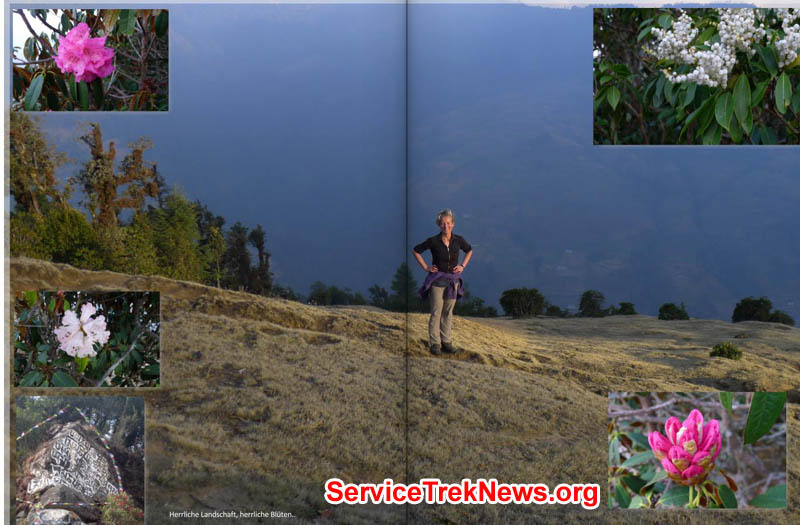 Trek guide Ms Kanti Sherpa shows medicinal plants & wild herbs. A lovely trek through giant oaks & hemlock, crystal clear brooks, Sherpa terraces. Kandu & mom surviving. Tough girl with failed kidneys. Traditional Sherpa music & dance party. Photo Bianca. Health clinic lacking electric light for examining patients. Needed: solar panel, charge controller, gel battery, bulbs, sockets, wires. Primary school of Patle village. Photo Bianca. Kate enjoying with school kids . Photo Kate. Our ‪nurses‬ from New Zealand & Australia saw a different group of patients today: lots of small children with a wide variety of ailments. Checking small children. Photo Kate. 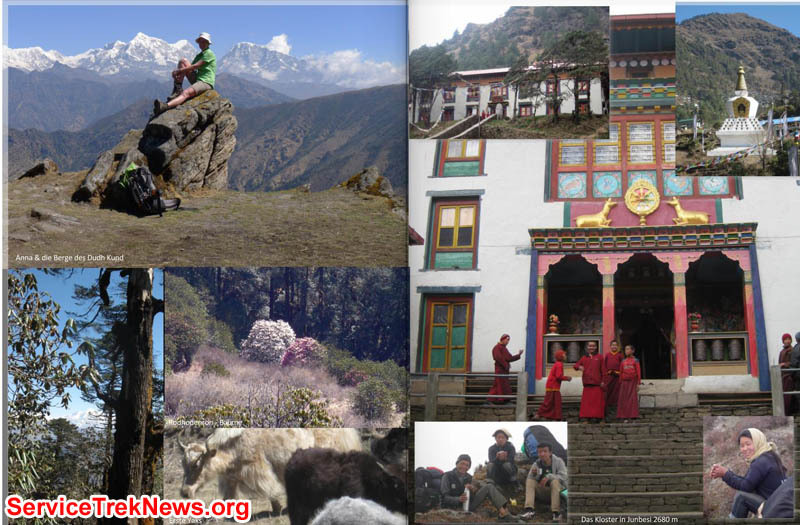 Sherpa house construction: 2 story, stone walls, wooden roof, many windows, wooden interior, hand carved cabinetry. All local materials. 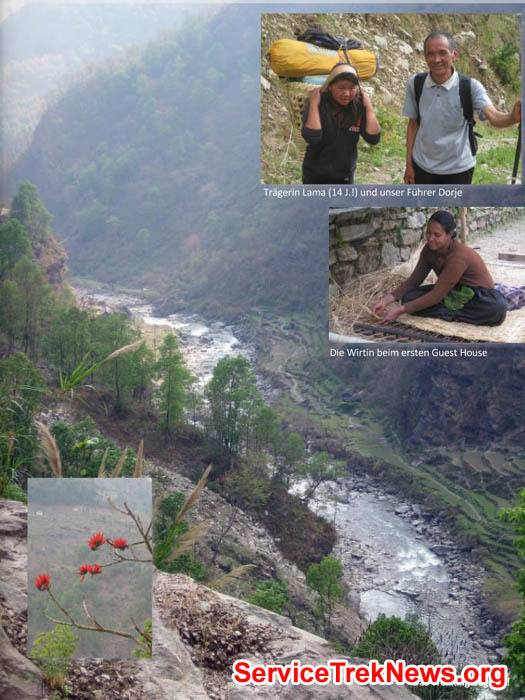 Mount Everest Foundation health post where Aussie & Kiwi health workers examine patients. 450 metre waterline needed. Project cost: $800. Working in Patle Health Center. Photo Bianca. Just visited the local temple and received a blessing from the Sherpa priest called a "lama". The temple was very ancient. A special moment. Photo Bianca. Small pond way to local temple. Photo Bianca. Old lady come for general check up. Bianca checking blood pressure. Photo Kate. Bianca checking pulse meter. Photo Bianca. 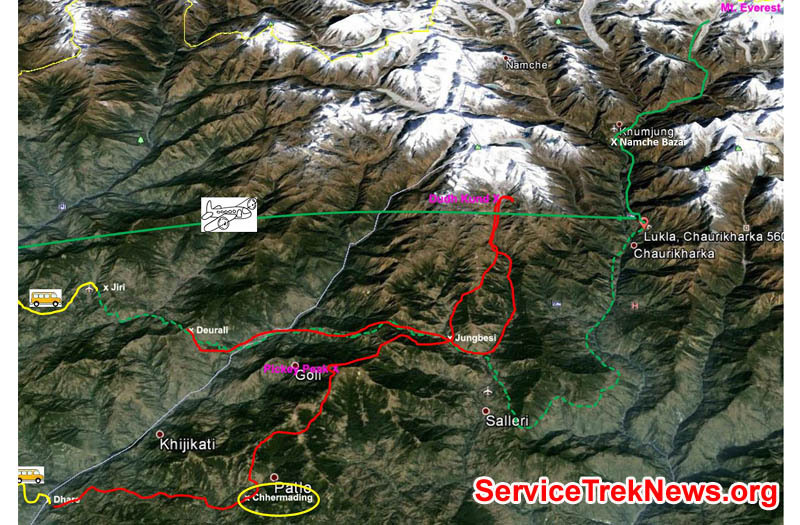 RemoteNepalServiceTrek.org now trekking between hospitals, checking out Sherpa healthcare options on this beautiful mountain morning. Bianca and Jangbu Sherpa wife enjoying beautiful day with tea. Photo Bianca. On the way to Jangbu House. Delicious food. Photo Bianca. Trekking between Patle health center. Photo Kate. RemoteNepalServiceTrek.com begins with Australia & New Zealand medical participants flight to Phaphlu to get started on seeing patients. Trekking between Patle health center. Herbal Pants. Photo Kate. At Phuplu . Photo Bianca. 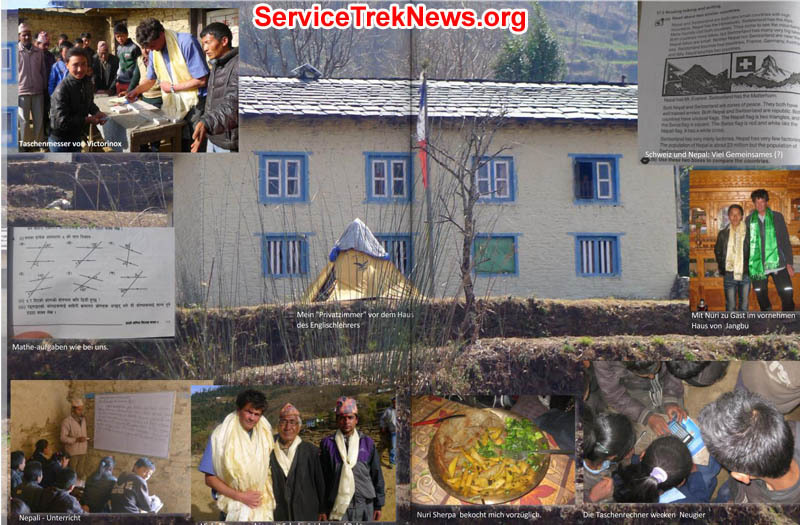 www.RemoteNepalServiceTrek.org , delivering medicines to 1000 Sherpa families in need. Amoxycillin capsules 500mg, 400 capsules. Respiratory infection. Amoxycillin capsules 250mg, 400 capsules. Respiratory infection. Amoxycillin liquid, 3 dozen bottles. Respiratory infection (children). Cotrimoxazole tablets, 400 tablets. Respiratory infection. Cotrimoxazole liquid, 3 dozen bottles. Respiratory infection (children). Paracetamol tablets, 300 tablets. Headache, aches, and pains, fever. Paracetamol liquid, 3 dozen bottles. Headache, aches, and pains, fever. 8. Omeprazole capsules 20mg, 400 capsules. Heartburn and acid reflux. 9. Ranitidine tablets 150 mg, 400 tablets. Heartburn and acid reflux. Antacid liquid, 4 dozen bottles. Heartburn and acid reflux. Vitamin B Complex capules, 400 capsules. Vitamin deficiency. Ciprofloxacin eyedrops, 24 bottles. Eye infection. Salbutamol tablets, 400 tablets. Asthma and bronchitis. Cetirizine tablets, 100 tablets. Hay fever and allergies. Decold tablets, 100 tablets. Daytime cold medicine. Children's cough medicine (liquid), 3 dozen bottles. Metaclopromide liquid, 2 dozen bottles. Heartburn, anti-nausea, stomach actiivator. Clove oil liquid, 1 dozen bottles. Toothache. Nose drops, 1 dozen bottles. Vitamin syrup, 2 dozen bottles. Children's vitamins. D5 Saline water, 1 dozen bottles. Intraveneous solution for women giving birth. RL Salaine water, 1 dozen bottles. Intraveneous solution for treating trauma cases. Intravenous set (1 dozen) for delivering IV solution. Intravenous Canula, 1 dozen, for delivering IV solution. Moov cream, 4 dozen tubes, Ayurvedic joint pain relief. Clotrimazol cream, 1 dozen tubes, anti-fungal cream. Hydrocotrisone cream, 1 dozen tubes, anti-itching, anti-inflamatory. Neomycin cream, 1 dozen tubes, Anti-bacteria cream. Vitamin injection ampules, 10 ampules for children who cant swallow other types of vitamins/milk, etcetera. Albendazole tablets, 400mg, 10 tablets, anti-tapeworm. Thank you very much for your kind attention to this matter. Garden of Dream at Kathmandu. Shoyambhu Nath Gate. Photo Bianca. 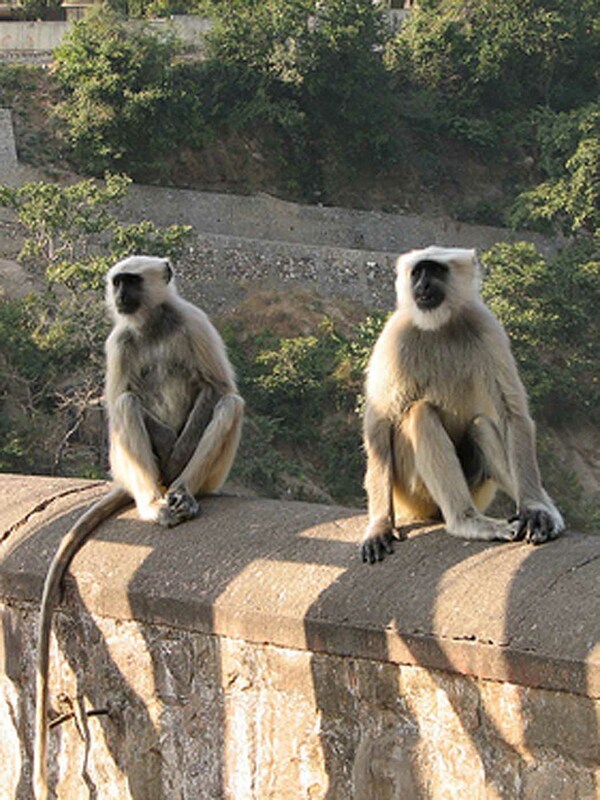 Monkeys are at Shoyambhu Nath. Player flag. Photo Bianca.